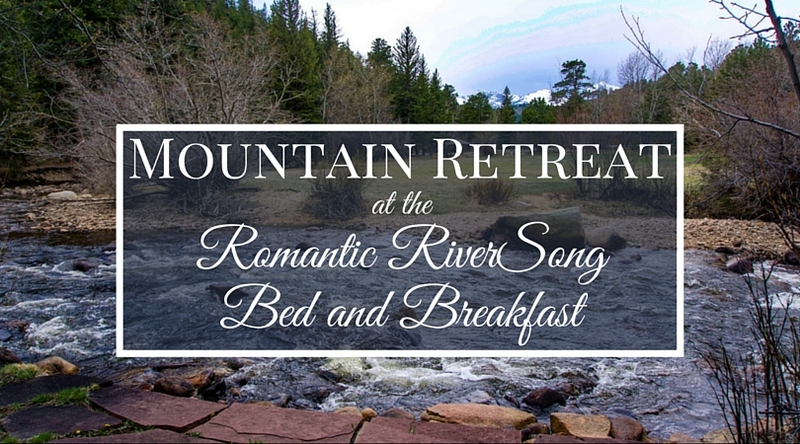 After the twists and turns through the mountains and the final stretch along the narrow dirt road, we finally saw the hearts and knew we had arrived at the Romantic RiverSong Bed and Breakfast for our much anticipated mountain retreat. 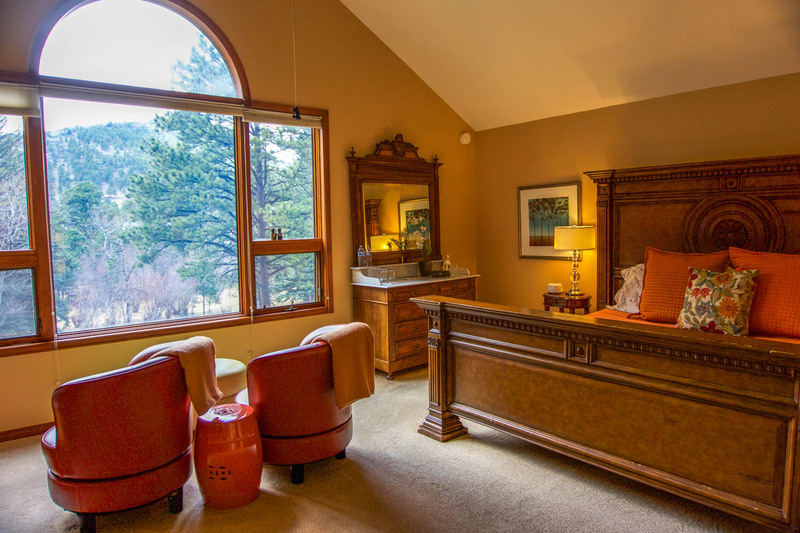 This B&B is a Select Registry property tucked away along the edge of Estes Park, Colorado and is cloaked in the kind of serenity that you can imagine would be found in a secluded corner of the Rocky Mountains. The innkeeper, Jacquelyn, welcomed us and showed us around, making sure to offer us tea or coffee and freshly baked cookies (they were terrific in case you were wondering). 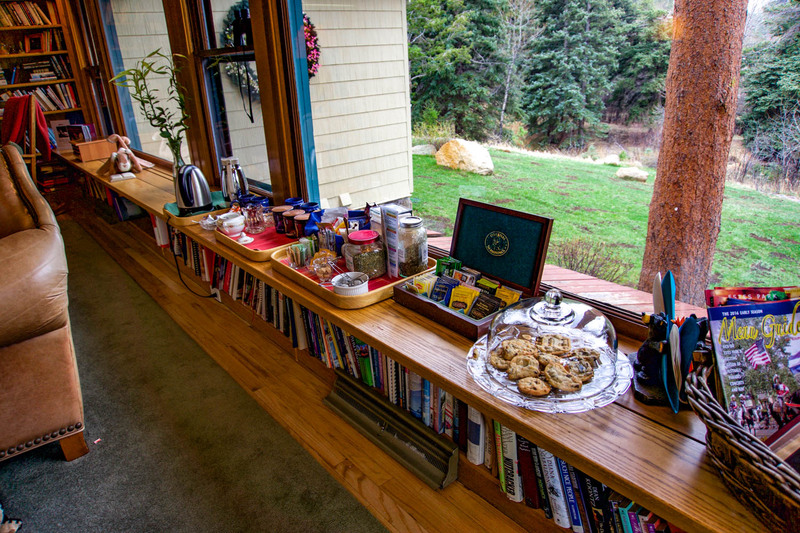 Coffee, tea, and freshly baked cookies (in the living room because there was a private dinner going on in the kitchen at the time). Brandon and I were booked in the Forget Me Not room, known as the classiest room on the property. As we walked in, the massive floor to ceiling window instantly caught my eye. I was not ready to leave this place anytime soon! 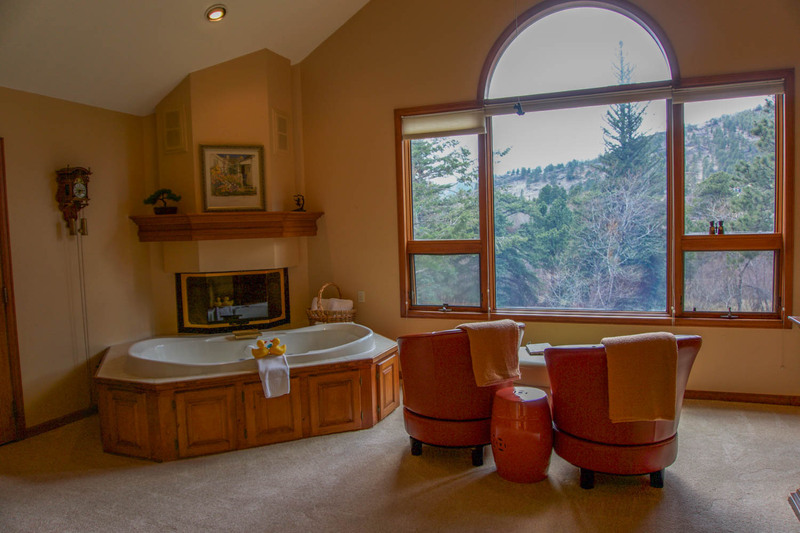 As you might expect, I took every opportunity to get cozy in front of this window under a soft blanket relishing in the views of the Continental Divide. 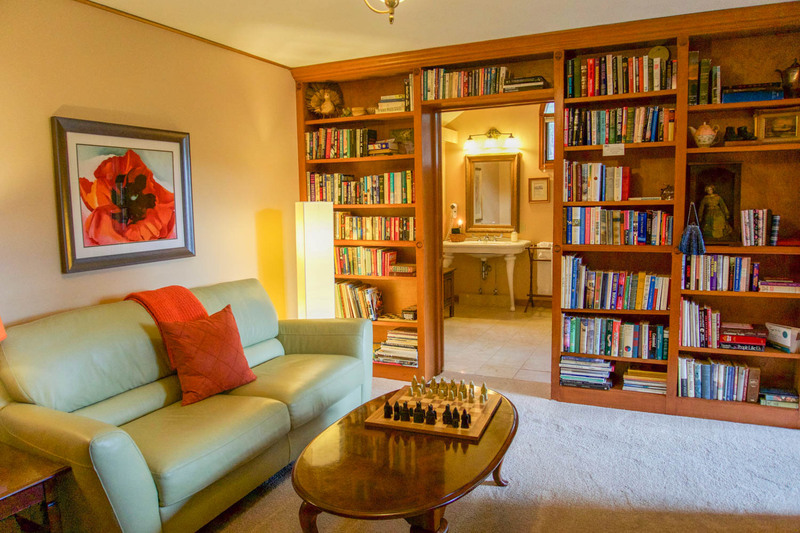 Continuing on with the masterpiece of a room, it was complete with our own library and even a private deck to take in more of the views. 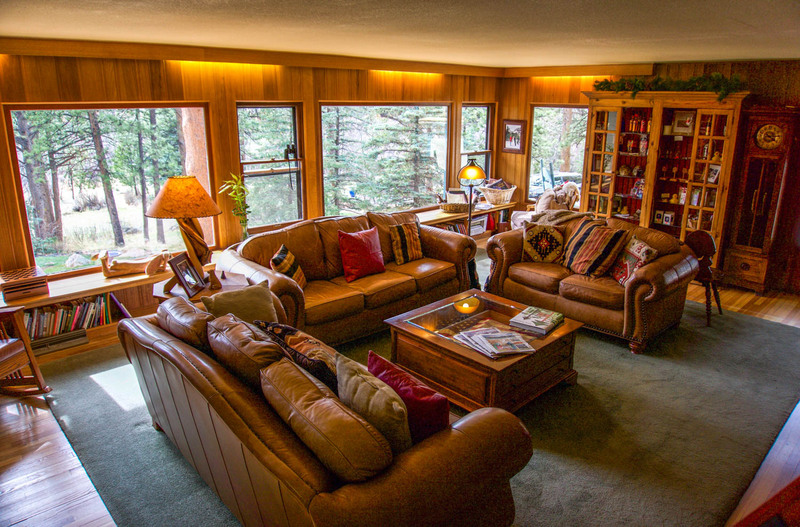 The room was plenty spacious, with high ceilings and bright natural light. Finally, you can’t forget about the jetted tub! In fact, it was one of the highlights of the room. 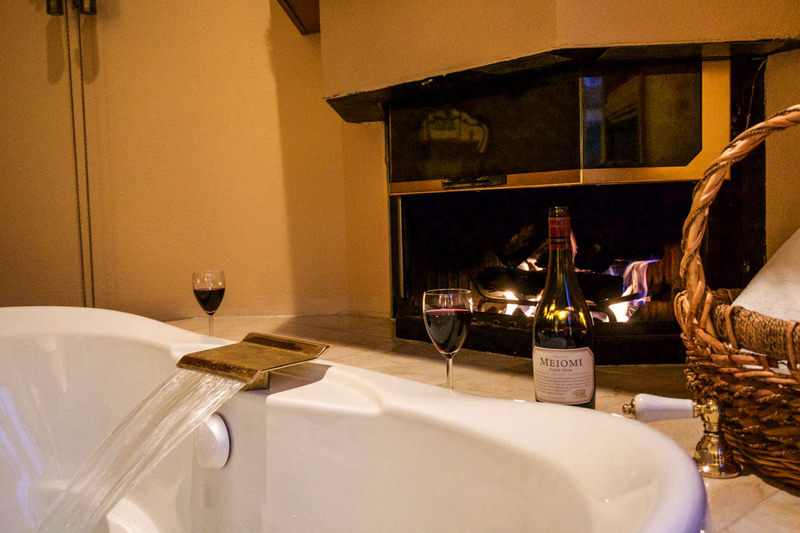 Right next to the cracking fireplace, it’s the perfect place to relax as you soak in the warmth and indulge in a glass of wine. 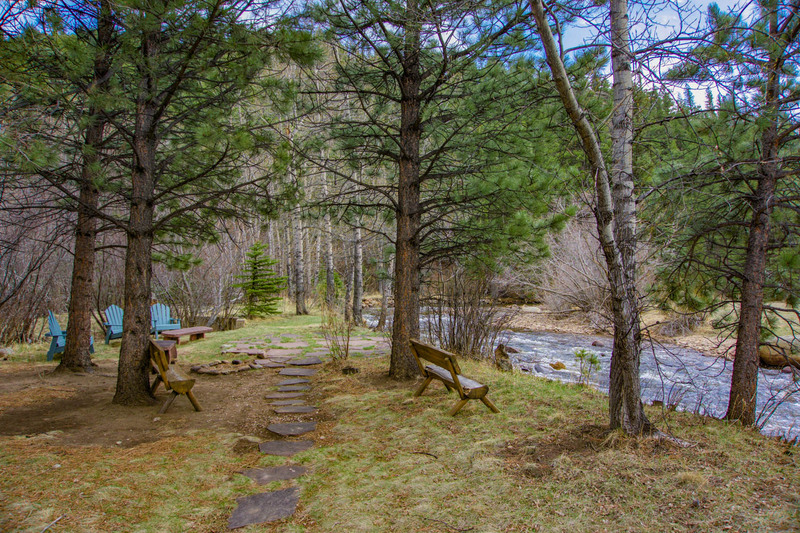 Once you’re finally ready to leave the room, you won’t have to go far to enjoy the outdoors. There is a small path alongside the tranquil river that Brandon and I walked before dinner, and luckily we got out there just in time before the weather took a turn for the worst. 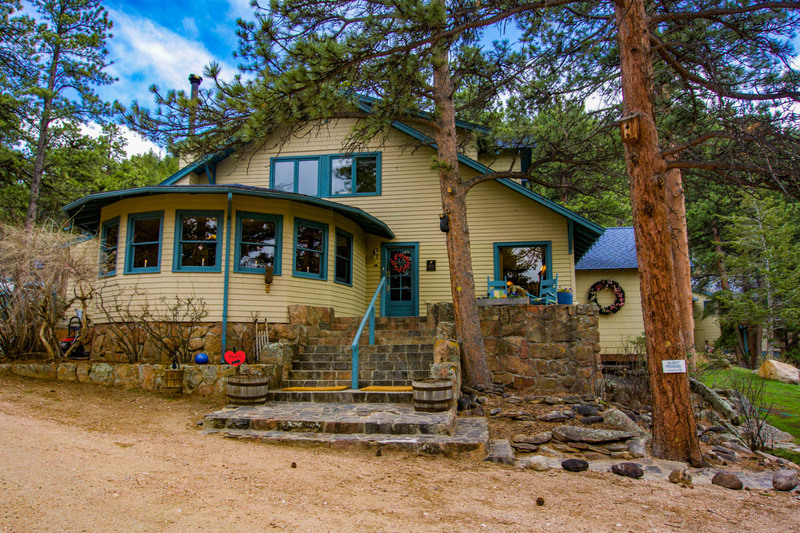 Other activities you can find on their 26 acres of land include hiking trails, private access to National Forest trails, ponds, and more. 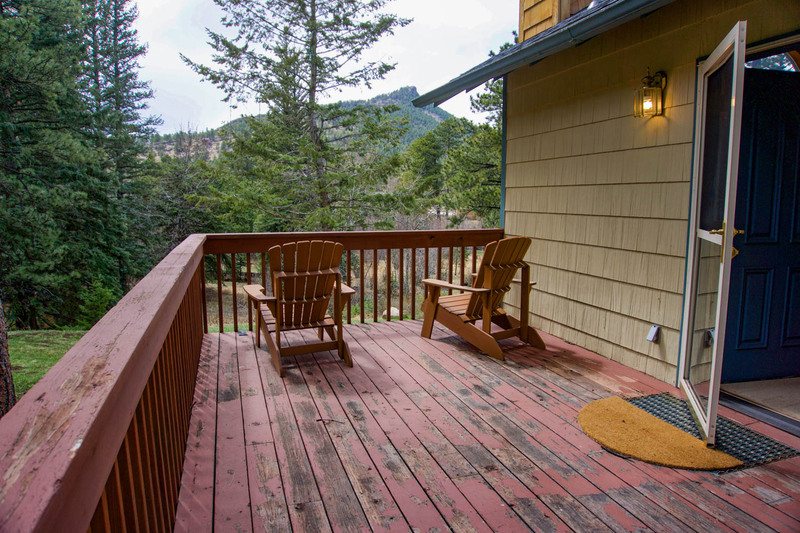 For meals, there are actually more places to eat in the Estes Park area than you might think at first glance. This time we opted to try a new place recommended by the Romantic RiverSong called The Dunraven Inn. I can be pretty picky when it comes to Italian restaurants, but this one turned out to be one of the best that I’ve been to in Colorado. 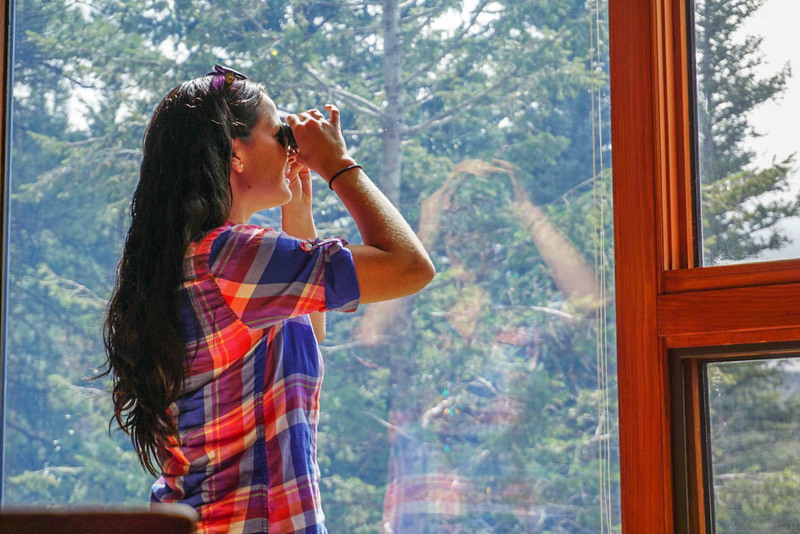 Using binoculars to see if I could spot any animals in the distance. It may be hard for you to find a reason to leave, except to eat lunch and dinner of course. However, you can even add on special packages like a semi-private dinner for two or an in-room massage. The next morning I finally got to enjoy the glorious rainfall shower head that was calling my name since our arrival. After getting ready, we walked our hungry bellies into the kitchen for a heavenly breakfast. Confession: I’m actually not a big breakfast person. But this breakfast completely won me over. Homemade granola in the yogurt parfait and a pineapple nested in the pancake? Say no more! Mmm Romantic RiverSong sure knows how to do breakfast! 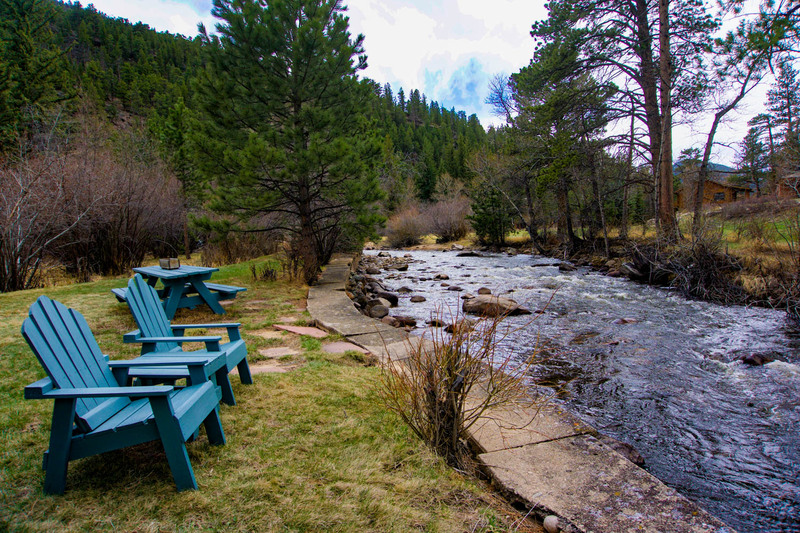 Although the conditions didn’t allow for us to explore more of the grounds around the Estes Park bed and breakfast the next day, the snow flurries we woke up to seemed to be the perfect touch to mark the close of our romantic mountain retreat. 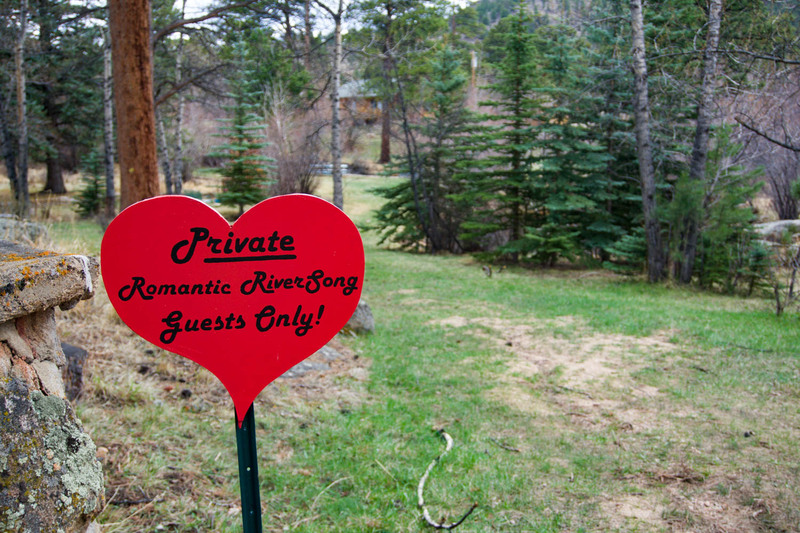 Experience it for yourself and book your own stay at the Romantic RiverSong Bed and Breakfast! 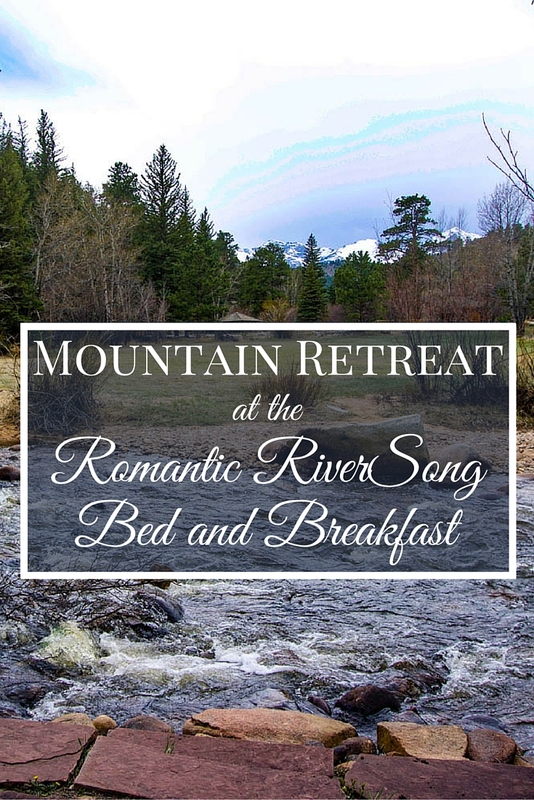 Please note that we were hosted during our stay by the Romantic RiverSong Bed and Breakfast and Select Registry, however, this did not influence my review of this B&B. As always, all opinions are my own. If you have any questions about the B&B or services mentioned on this page, please reach out to me and I will happily answer them. Wow… what a special spot! That’s one of those memory making destinations you remember forever. Nice photos too!